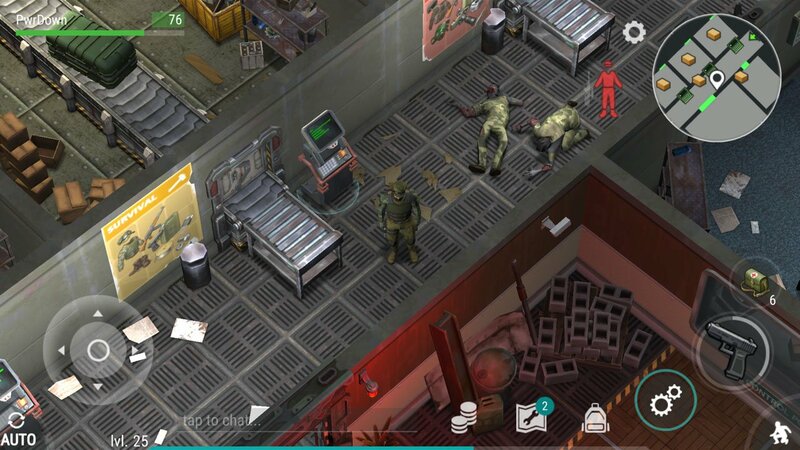 In this post, we’re going to look at Level 1 of Bunker Alfa, which is the first floor. It seems to take place in an airport or train terminal. 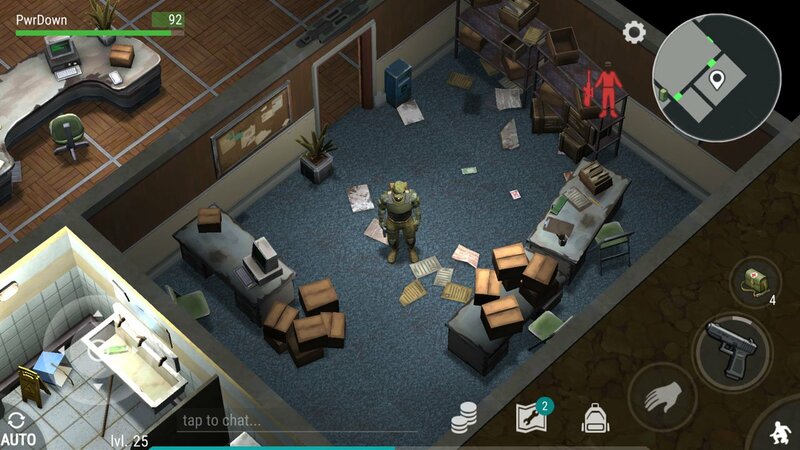 Before heading into the Bunker, you may find some loot upstairs in the lockers. 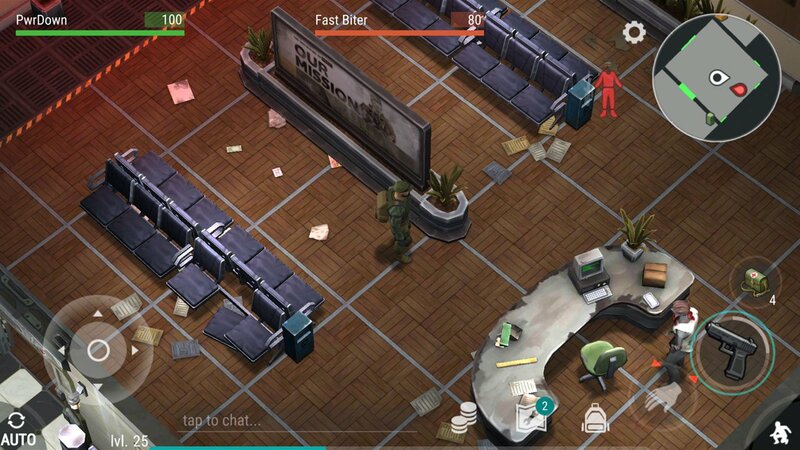 When entering Level 1 of Bunker Alfa in Last Day on Earth, you’ll start in a waiting area-type room as seen below. Thankfully, there are no zombies or enemies in this area. There is a door on your left, however at the end of the room is a vending machine which you can search for some loot. Once you’ve searched it, head through the door. Next you’ll be in a larger waiting area, with a sole zombie possibly behind the desk. It’s a fast biter with 80 Health, so he shouldn’t be too difficult to kill. There are 4 more doors in this room. 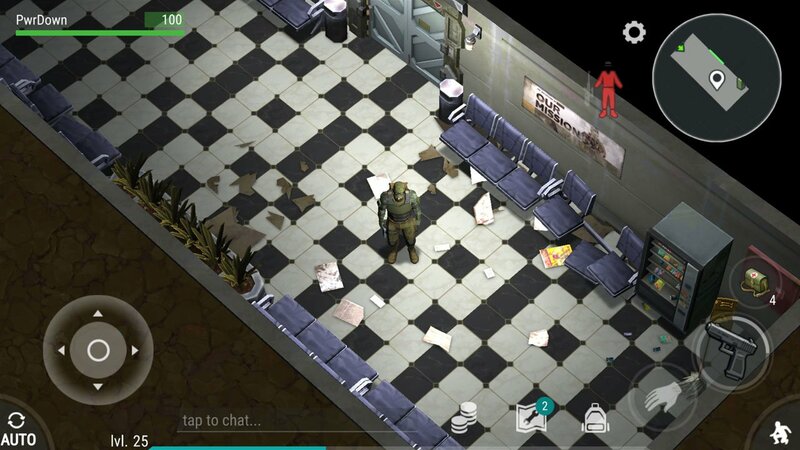 Waiting area with a single zombie behind the desk. The room in the bottom left as seen below is a bathroom. Inside there is no loot, but there is a Floater Bloater with 240HP. You can ignore this room if you want to, as the bloater can be a nuisance to kill. A Floater Bloater is inside this bathroom… so be careful. Next door is a storage room, which again doesn’t seem to have any loot. It’s best opening the door anyway, as there are no zombies or enemies inside. To the right of this room is another door which requires the Overseer’s Card. However it seems this item isn’t in the game yet. You can safely ignore this door for now. The final door will take you to a room full of conveyor belts, known as the rationing terminal. Inside are 2 40HP Zombies, which shouldn’t be a bother. Here, you can trade all of your rationing coupons for chests at the terminals. However each one requires around 20-30 coupons. Also inside this room is a trash can which can be searched. Here you can redeem your rationing coupons for loot. There is one final room which may have a low level zombie in and a book shelf you can search for some loot. 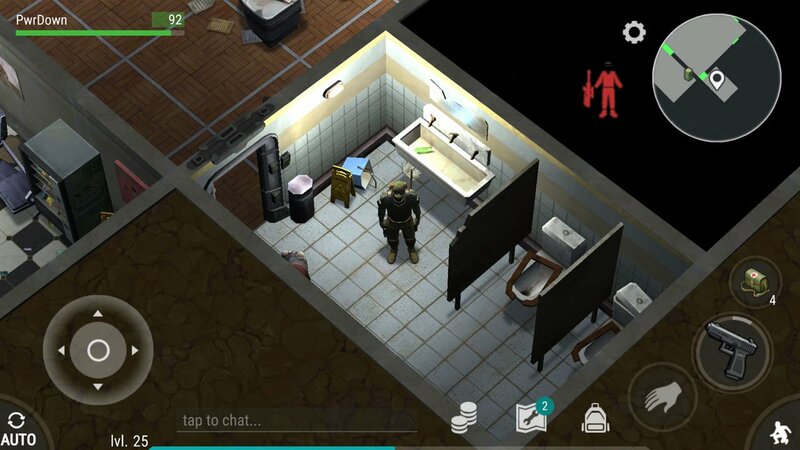 Just outside of the door to this room is the elevator, which can take you to Level 2 of Bunker Alfa in Last Day on Earth! how to get in the stuck door? After passing into the hallway with the ration crates, there are now 3 fast biters.